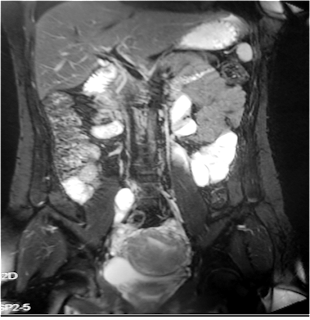 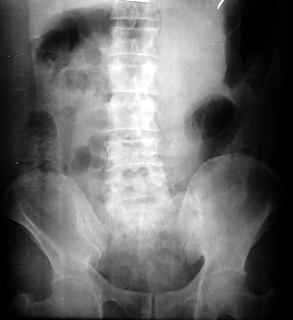 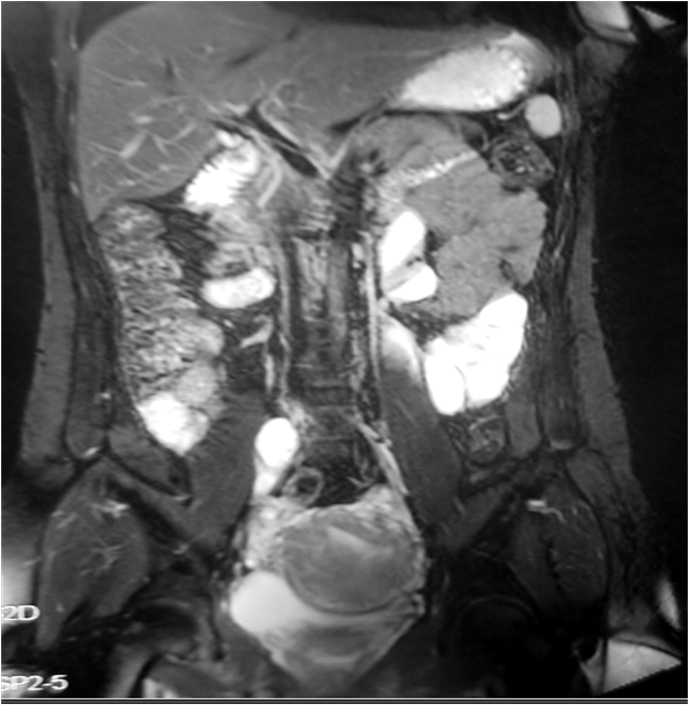 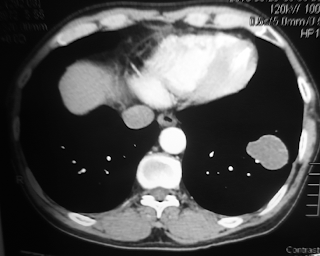 Man 53 yo acute pain onset at left lower abdomen, no fever, pain progressing and cannot lay down in decubitus position. 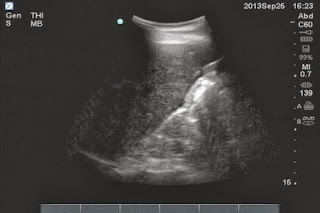 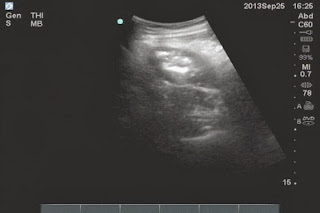 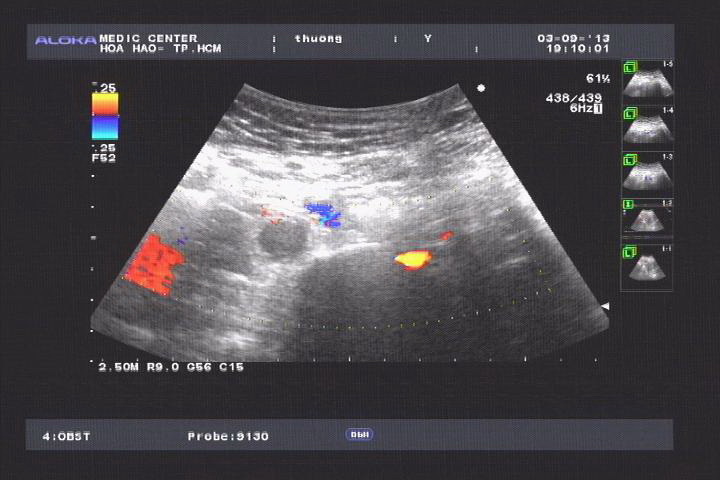 Ultrasound abdomen first showed that fluid collection around liver and pelvis with one mass size of 3cm-4cm at the painful area (left lower abdomen) like pseudokidney sign. MSCT without CE of abdomen detected one mass with intraluminal air and its wall was thickened more than 1cm which suggested inflammation like enteronecrosis. This patient promptly was sent to BINH DAN HOSPITAL.and abdomen x-ray for check up was done [see photo]. 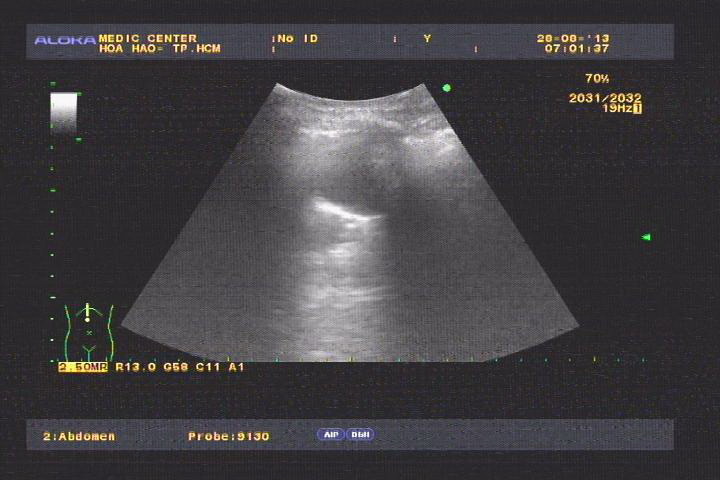 Blood tests= WBC rising 17K with 88% neutrophil. 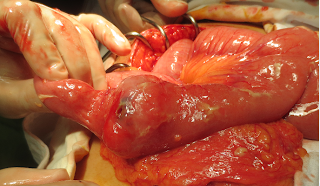 Emergency operation as diagnosis about peritonitis.due to perforation. 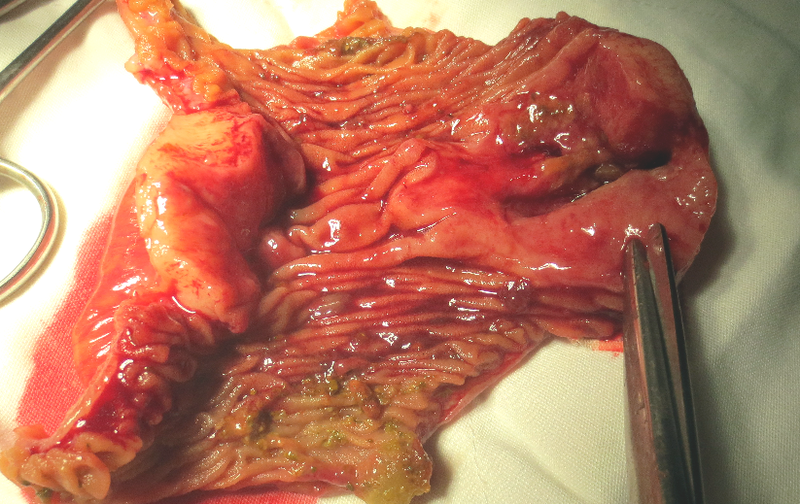 This mass is of small intestine.which was looked like tumor or inflamation. 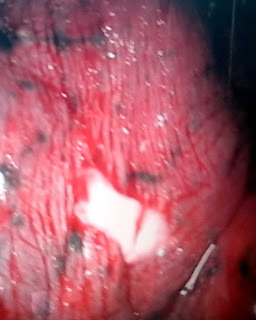 Microscopy reports that a cancer But we have to wait for immunohistostainning to make sure that a malignant GIST or Carcinoid. 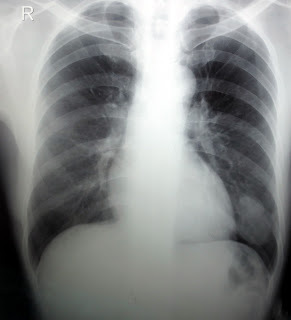 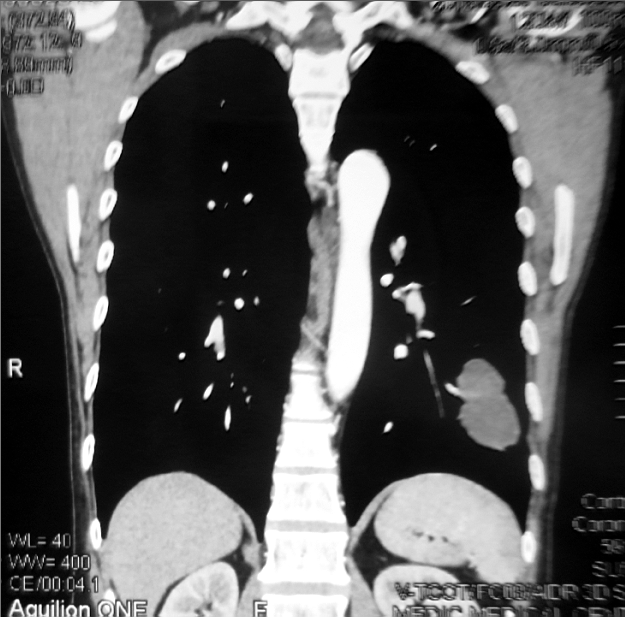 Man 59yo in check-up lung x-ray detected a mass at left lung, asymptomatic, no history tuberculosis, non smocking patient. Ultrasound of the lung showed that was a cystic avascular with well bordered mass, size of 4 cm. 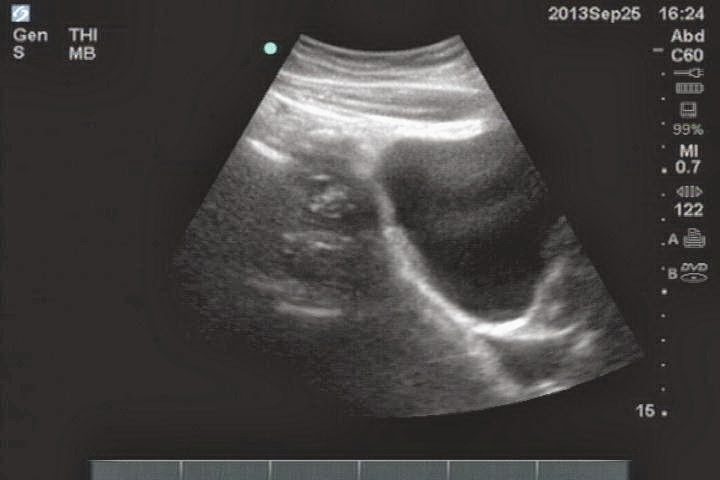 MSCT CE said that cystic mass bilobar looked like a bronchogenic cyst. 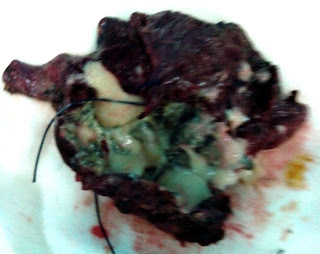 Operation via endoscopic thoracotomy, and punction of this mass leaking out the milky fluid. 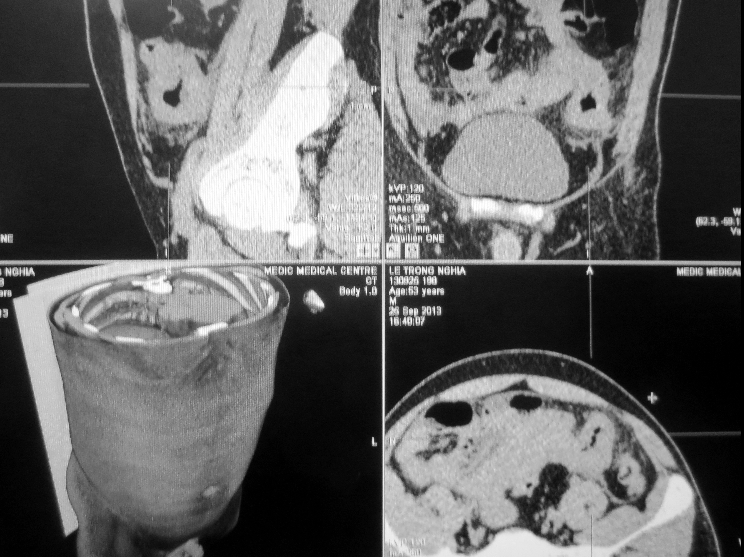 Resection this tumor with macrospecimen picture. Wait for pathology report, but the surgery report said it looked like a caseum cyst of tuberculosis. 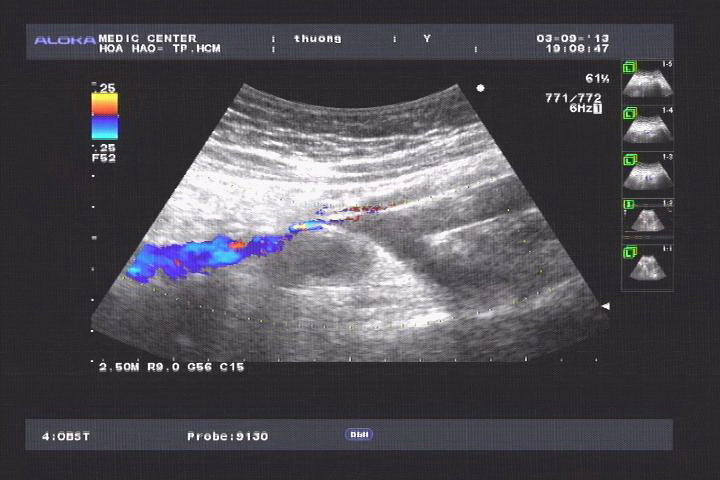 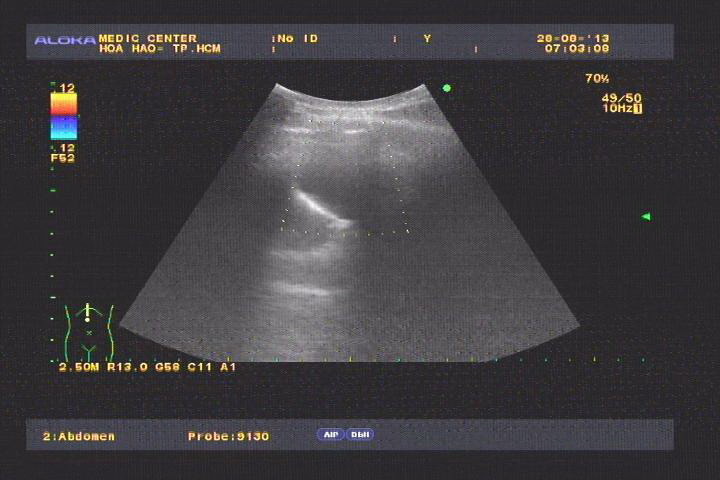 CASE 208: RETROPERITONEAL EXTRAUTERINE PREGNANCY, Dr PHAN THANH HẢI, MEDIC MEDICAL CENTER, HCMC, VIETNAM. 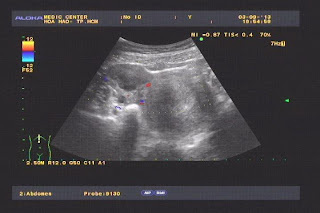 WOMAN 26yo UNDERWENT in vitro fertilization–embryo transfer (IVF–ET) WAS WAITING FOR THE RESULT. 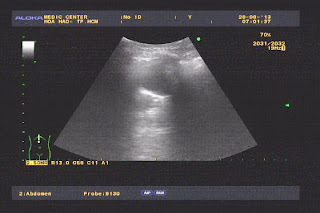 BETA HCG WAS RISING UP FROM 9K TO 17K BUT ULTRASOUND CANNOT FIND OUT THE INTRAUTERINE NIDATION. 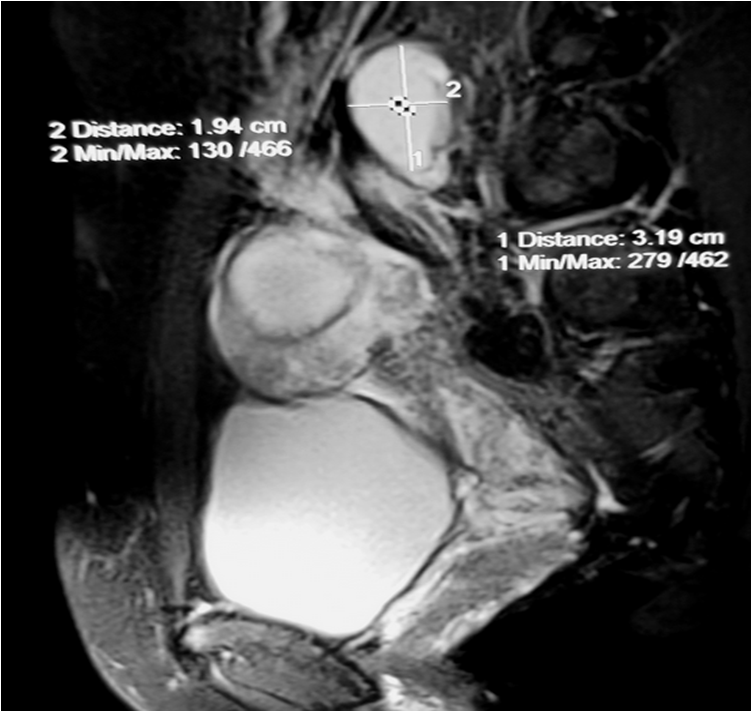 AT THE RIGHT OVARY SITE, ULTRASOUND DETECTED ONE MASS OF 2 cm WITHOUT BLOOD SUPPLY WHICH WAS BIG AND CYSTIC HEMORRHAGIC, NEAR RIGHT ILIAC VEIN. 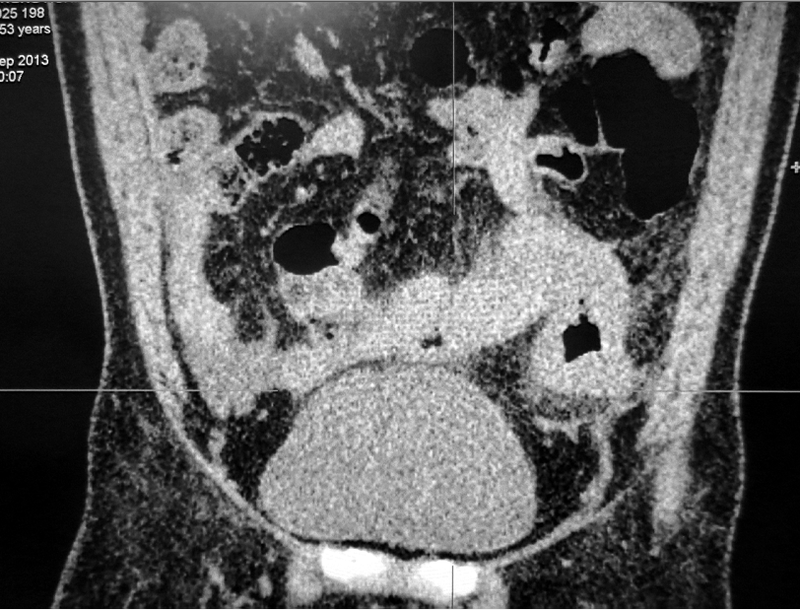 ONE WEEK LATER MRI WAS PERFORMED ALSO DETECTED THIS MASS WHICH WAS GROWING IN RETROPERITONEAL SPACE, NEAR RIGHT ILIAC VEIN. 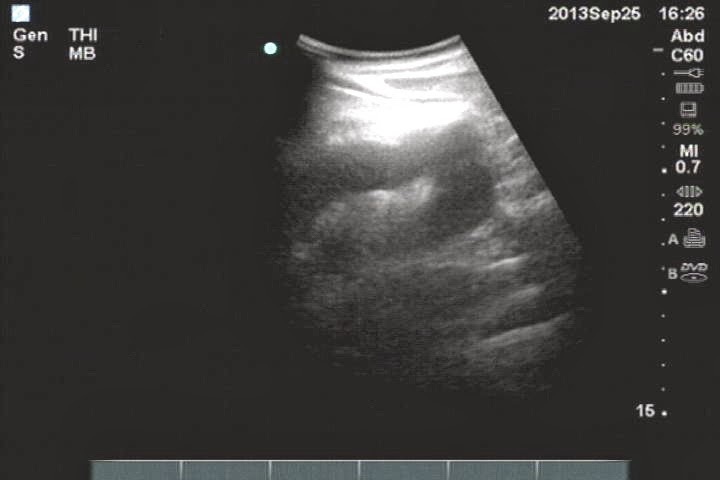 Beta HCG AT THAT TIME WAS UP TO 39K. 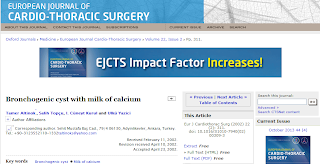 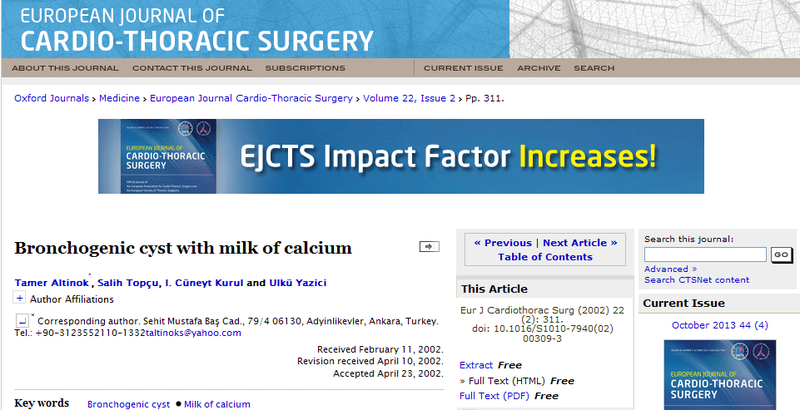 WAIT FOR PATHOLOGY REPORT AND FOLLOW UP THIS CASE AS EXTRAUTERINE PREGNANCY IN RETROPERITONEUM.